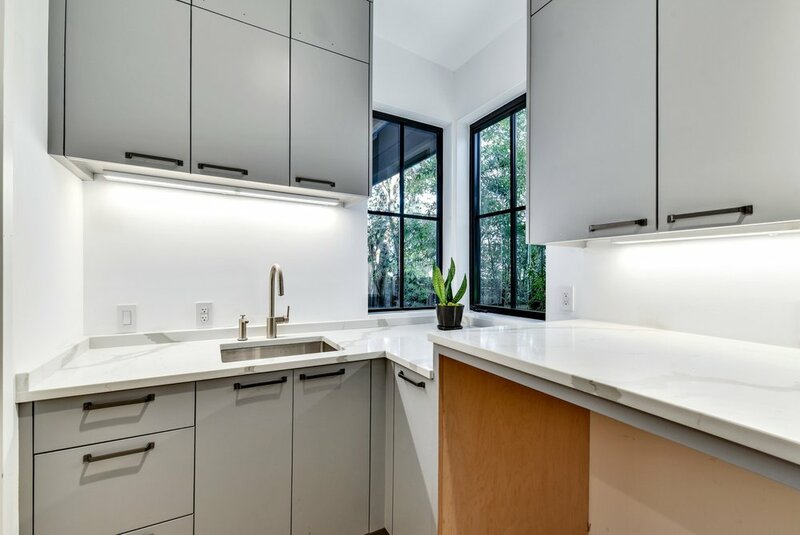 Exceptional quality construction by Capital Construction Company and design by award winning Witt Architecture. 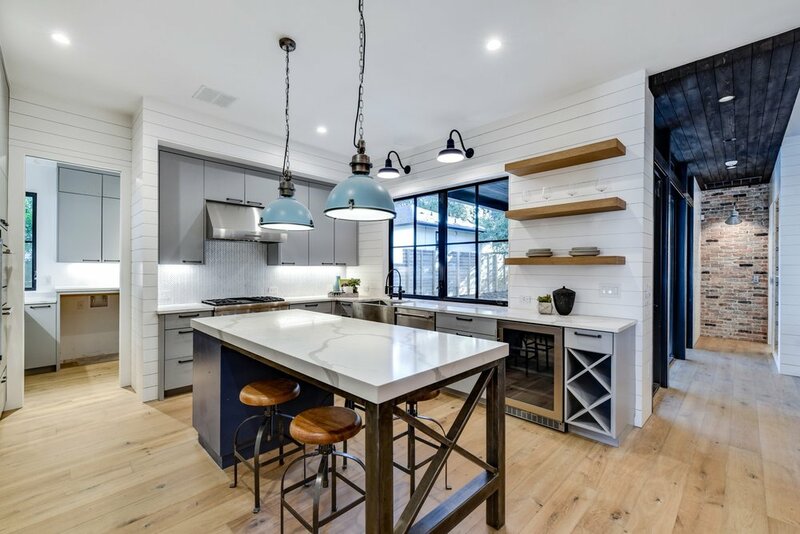 Located in the heart of the Bouldin neighborhood in South Austin, this beautiful new home features an open concept kitchen, living & dining. 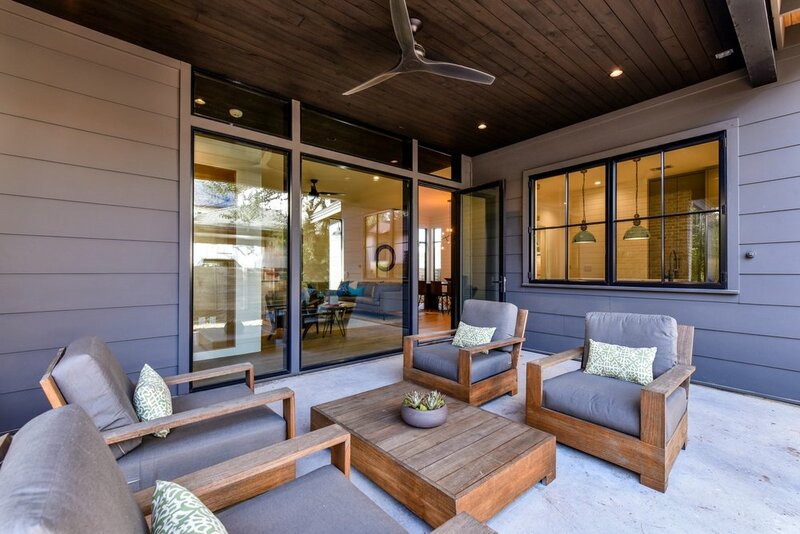 Amazing windows and a wall of glass doors expand the bright living area onto a covered outdoor living room to bring the outside in! 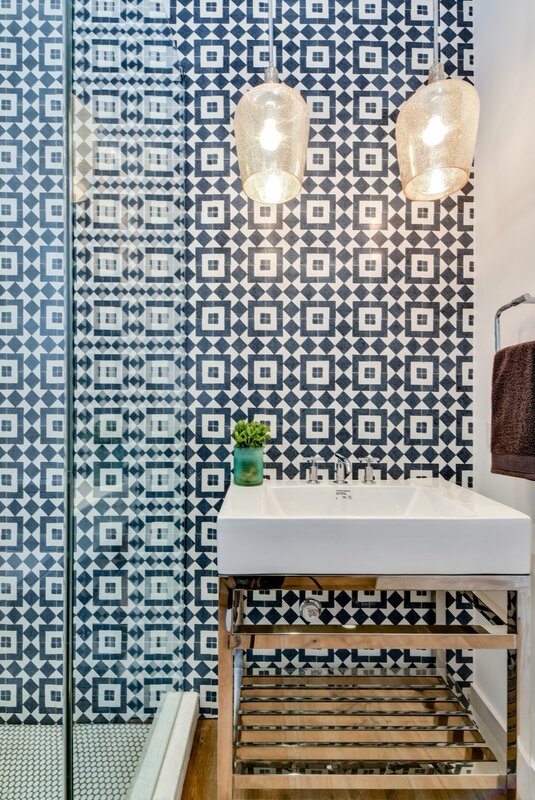 Impeccable design by renowned Houzz award winner Glynis Wood Design creates a modern aesthetic mixed with playful tiles and amazing colors. 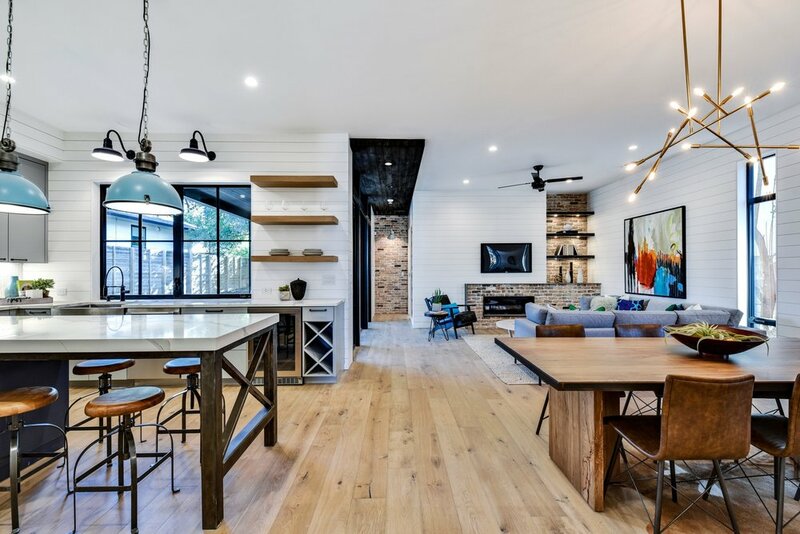 Upon entering this home, there is an office, den or 5th bedroom with a full bath that serves as a powder for guests and home office use. 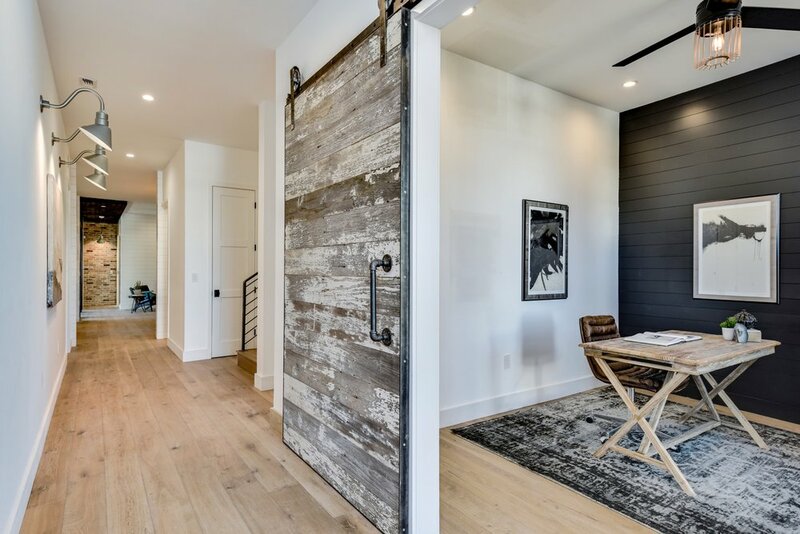 An amazing reclaimed-wood barn door sits on sturdy hardware and acts as privacy as well as a piece of art and focal point as you arrive. 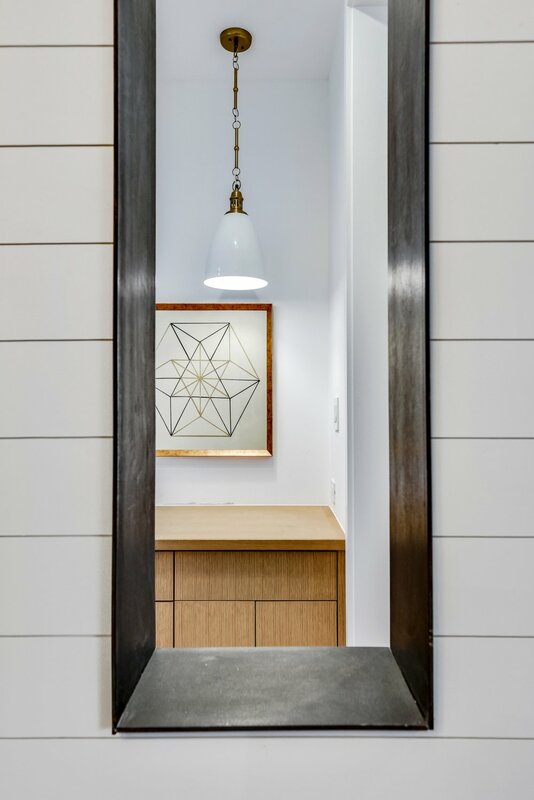 As well, there is an amazing study nook/desk area off of the living, mudroom/drop zone and the most amazing walk-in pantry that serves as a laundry and prep area. 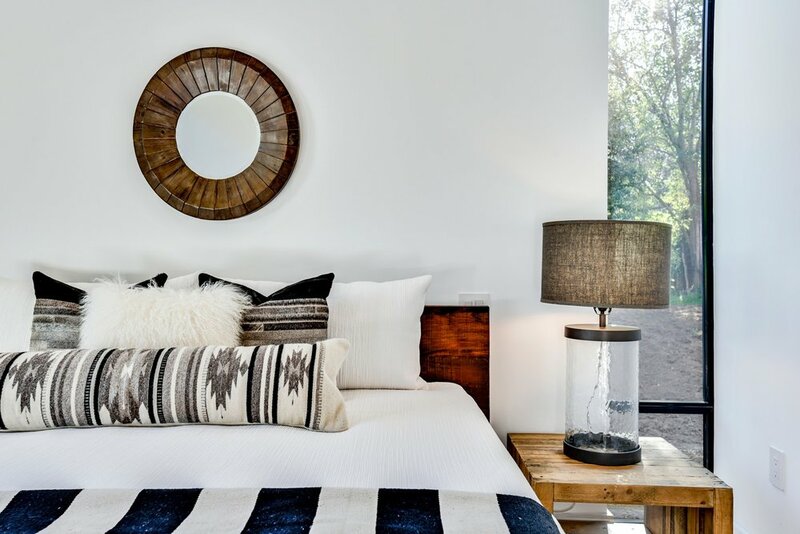 The master suite is privately located at the rear of the home on the main level. 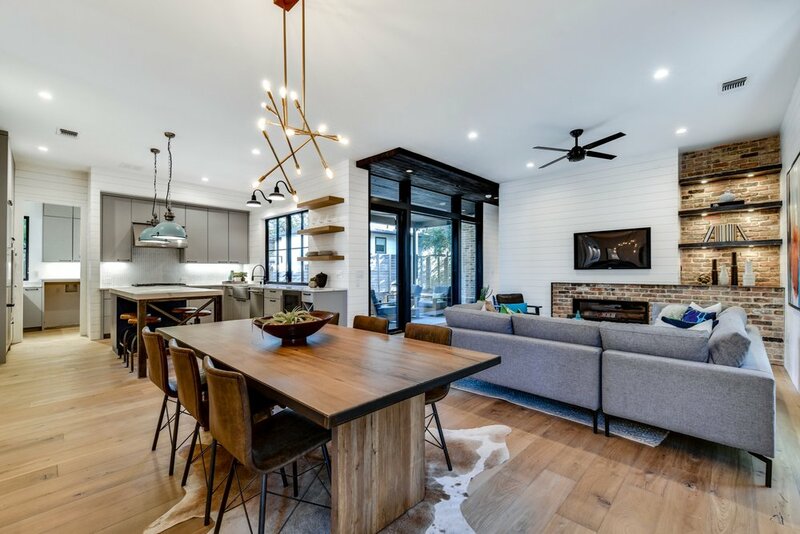 It has a reclaimed wood ceiling and fabulous natural light along with a sophisticated, spa like bath. 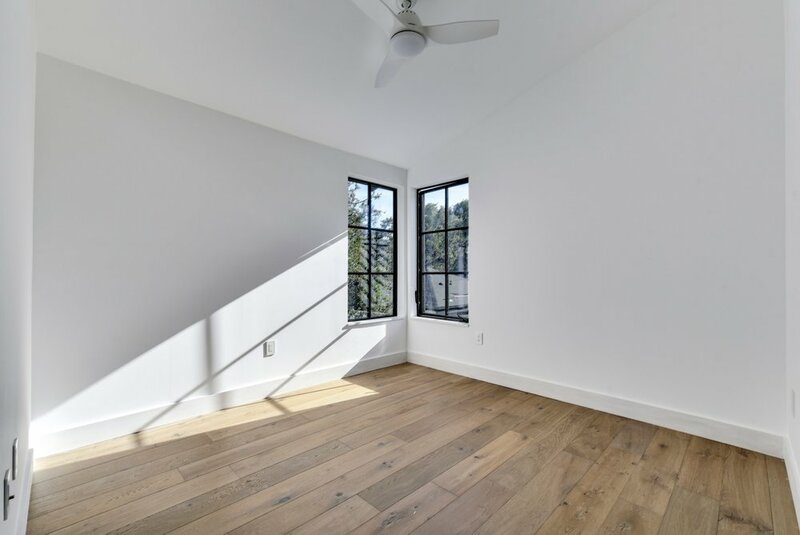 The remaining three bedrooms are upstairs with two full bathrooms, an open game room/living space and a rooftop terrace! 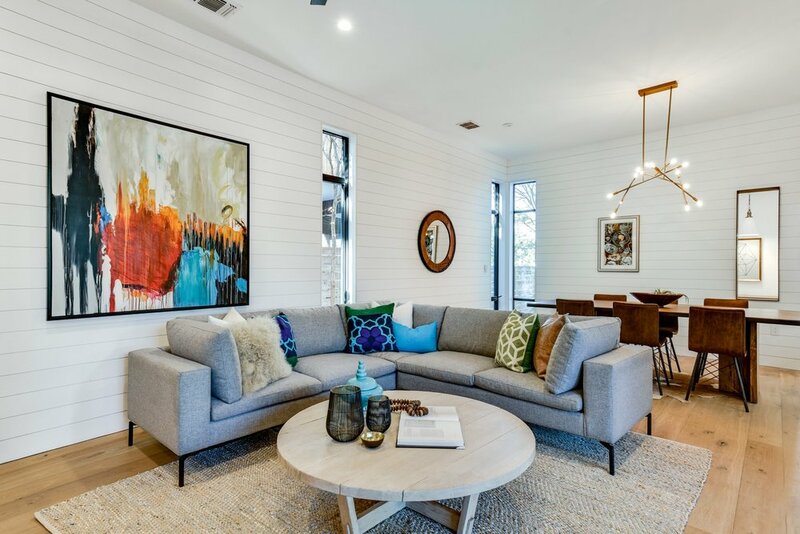 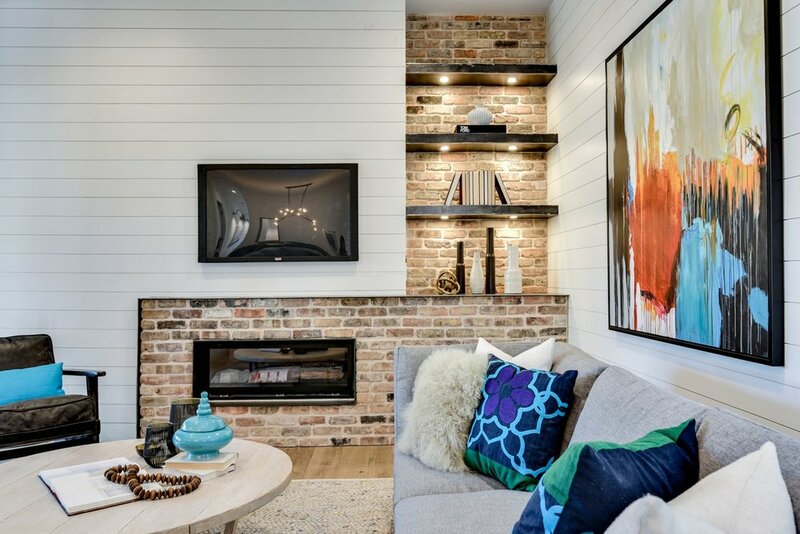 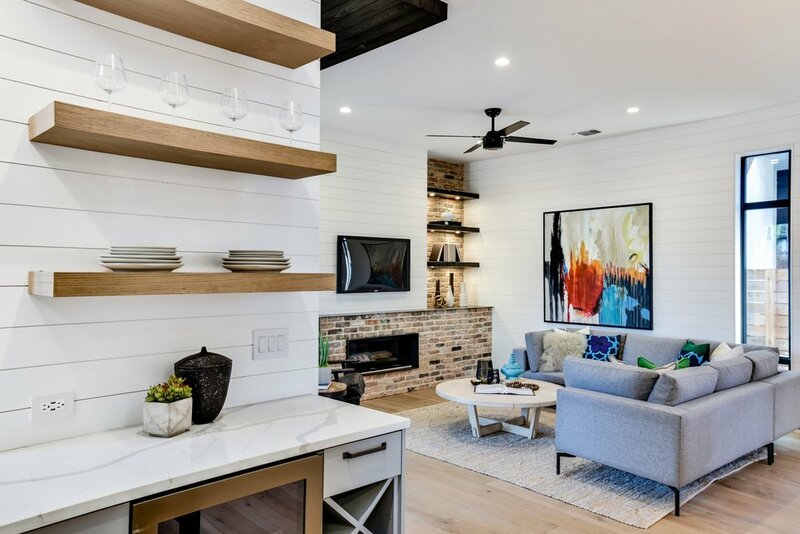 White oak flooring throughout, Thermador kitchen appliances, reclaimed Old-Chicago brick around the fireplace and accent wall, all give this home incredible warmth and charm located just a short distance to both SOCO and SOLA for dining, shopping and life in Austin.